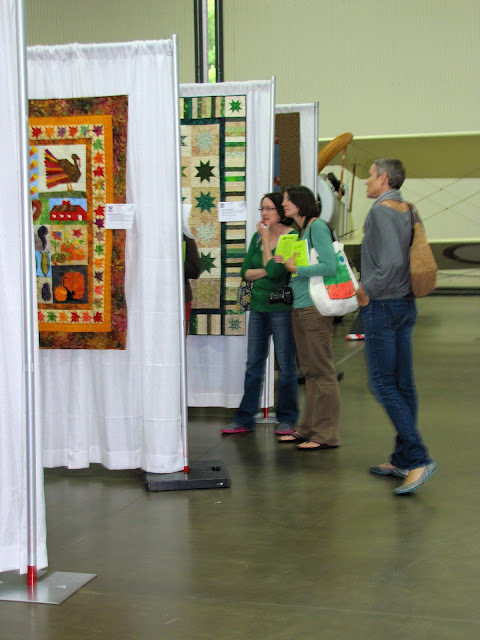 Yesterday, some of my wonderful friends came to visit and see the Things With Wings Quilt show!! From the left: Marie Bostwick, Michele Muska, Victoria Findlay Wolfe and myself. 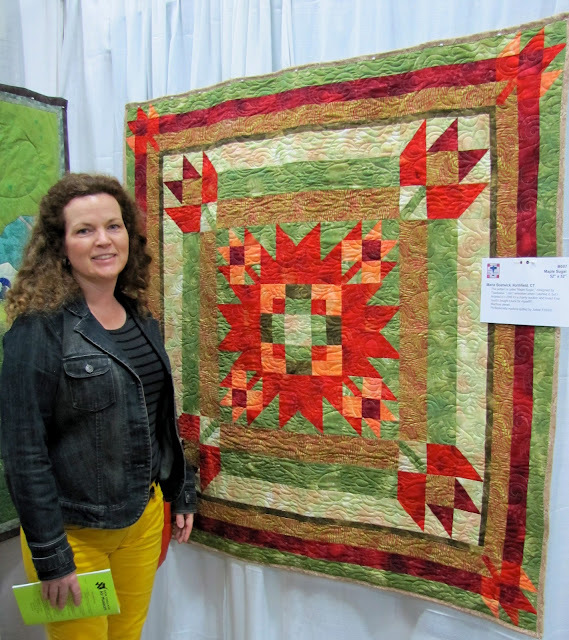 Victoria with her miniature quilt "My Bird Pierre" that was entered into our challenge exhibit. Marie and her quilt in the main exhibit. Oh... on Saturday, Marie will be presenting a lecture! A must see event. She will have her books on hand as well for sale and signing. Everyone is admiring Vicki Welsh's "Symmetry" series quilts! One word.... Gorgeous!! Victoria next to her LARGE quilt entered in the main exhibit... only a sneak peek here. If you want to see the whole thing you will have to visit. Our lovely volunteers working the basket raffle table. These are some baskets to win for sure!! I am having a great time at the show every day and can't wait to set up my booth on Friday for the weekend!! Click here for directions on how to get to the New England Air Museum as well as more information on the show.